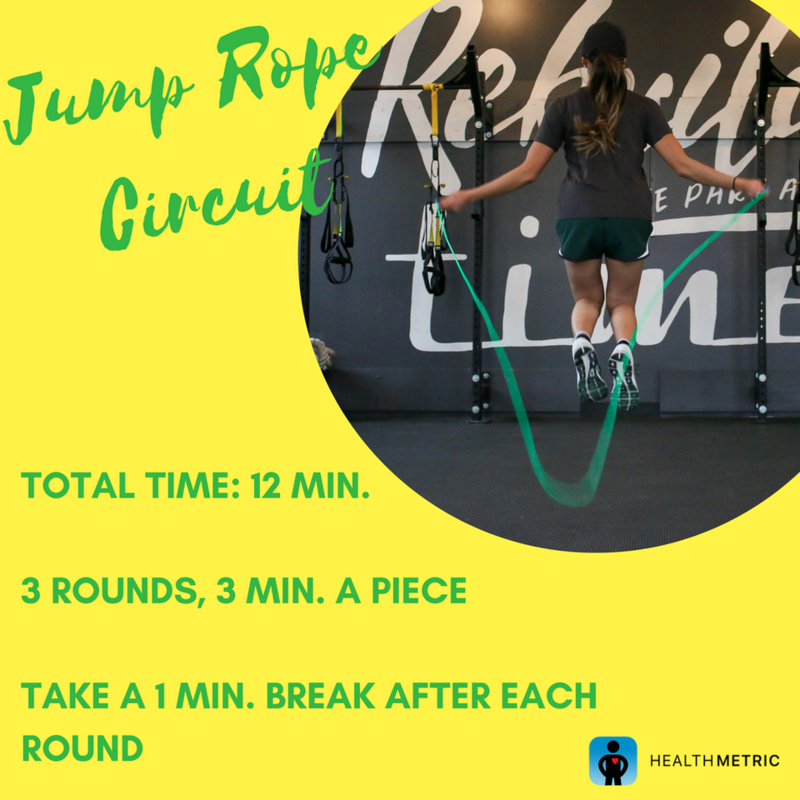 You’ve heard that jump roping is an effective cardio workout. However did you know that according to an extensive study, six weeks of daily 10 minute jump roping exercises had the same improvement to cardiovascular health as those who jog for 30 minutes a day? Choose how many rounds you want to complete, with a minimum of 3. Each round lasts for 3 minutes, with a minute break after each. Try jumping through the break if possible. To keep the circuit interesting, alternate exercises such as high knees, single leg jumps, regular skipping, double unders, side to side jumps, and criss-cross. For the last 30 seconds of each round, push the intensity/speed!